Sharks, Rockets and Pharaohs oh my! 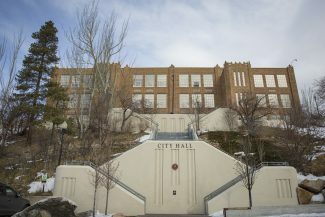 This summer adventures await kids in Park City School District Community Education classes and more importantly, they’ll likely learn some pretty cool stuff. And if that isn’t enough, the experience comes with a guarantee: "If you’re not happy with the quality of a class, we’ll give you full credit toward another class." Every summer several new classes are introduced. "We try to keep our ear to the ground," said Judy Tukuafu, the Director of Community Education. "We try to keep things fresh. Sometimes it’s a guess, and hopefully we happen to guess right." "We like to keep the classes pretty small, with about 12 kids per instructor," Tukuafu said. The classes are several days to a week in length, so parents can better fit classes in with vacation schedules. "The classes start when school ends and end when school begins," Tukuafu said. She detailed some of the most popular classes, with a friendly reminder that there are a limited number of spaces, so early registration is a good idea. Camp Bow Wow, is suited for kids in grades 5-7, a hands-on owners manual on the operation and care of your dog. Not only are some obedience skills taught, doggie treat recipes are given, tricks for treats are taught. Stories of sled dogs and first aid dogs are told. No dogs on the first day please. Animal Alphabet, for ages 31/2-5, welcomes parents to join in on animal songs about the bear with hair and the great ape. Kids learn letters and letter sounds of the animal kingdom, and animal puppets are made, the tiger game comes into play, and every class includes a snack. Another adult/kid participation favorite is "Hooray for the USA, for ages 4-6. The class is a sizzling warm-up for the 4th of July, including the singing of songs, making of flags, decorating of floats and learning "Hooray for the Red White and Blue," in sign language, ending with a patriotic parade. One forensic gem is maybe the best deal out there is "Crime Solvers," a toned-down CSI for ages 9-12, which explores real-life crimes, fingerprints, collecting evidence, investigating a crime scene, blood typing and interviewing suspects, taught by the Summit County Sheriffs department at a cost of $20 for four days..
Shark City Splash Camp is another kid favorite. With the shark theme, kids swim, splash cavort, play games eat provided snacks with the fervor of Jaws and do other fun shark stuff at the Aquatic Center. Two classes, Mystery of Pharaohs Treasure, and Space and Rocketry, explore the heavens and earth through Science Adventures, working together with Community Education. 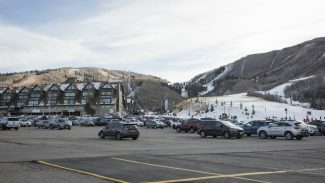 Classes are open to Park City kids, but kids visiting town and on vacation. "We get a few who come back year after year," Tukuafu said. For a full listing of classes, dates, times locations and fees, or to register online, visit http://www.pcschools.us clicking on Community Ed, Search catalog and register online. For more information, call 615-0215. 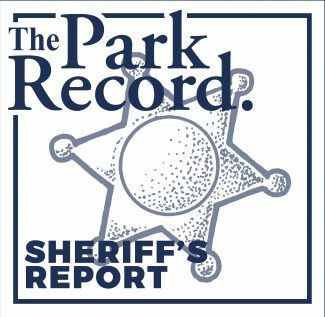 To register in person, ask for Jane Toley of Community Education at the Park City School District offices at 2700 Kearns Boulevard.